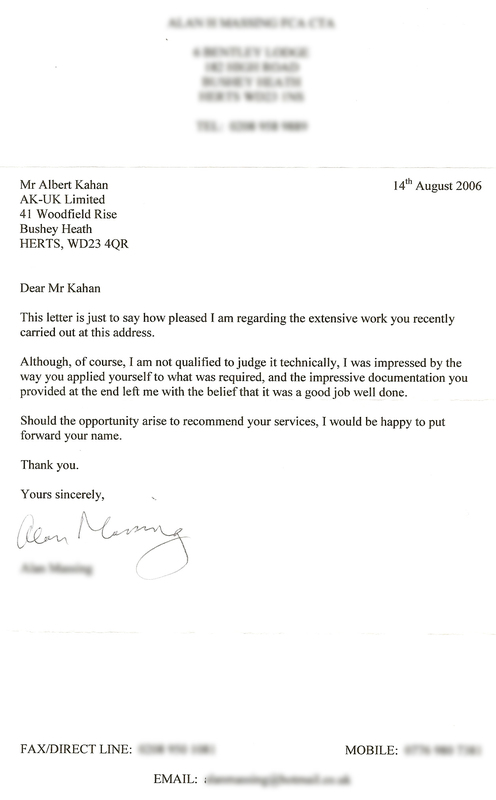 AK-UK Limited is a small company based in North-West London that was established in 1996 as an engineering company to support high-tech equipment. The company has since evolved and now provides electrical services to both domestic and commercial customers. 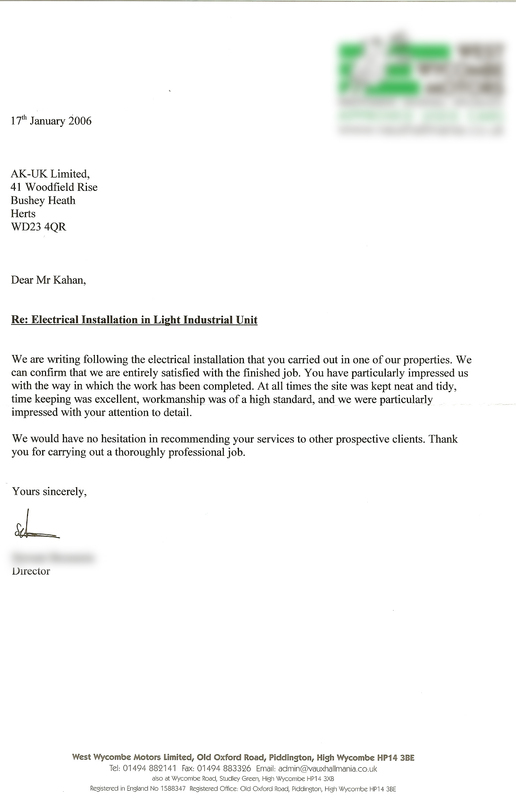 AK-UK's electrician is fully City & Guilds qualified, including 'Inspection and Testing' for all purposes. 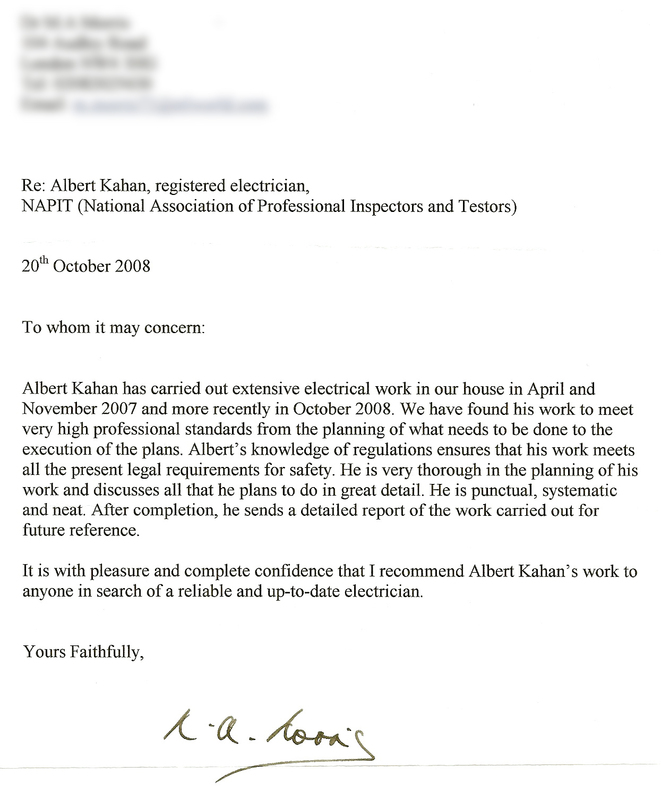 Furthermore, AK-UK Limited is registered with NAPIT, IET, TrustMark, the ElectricSafe Register and for Part P of the building regulations, and is authorised for all electrical systems. All work complies with the latest edition of BS7671 and Part P of the Building Regulations. 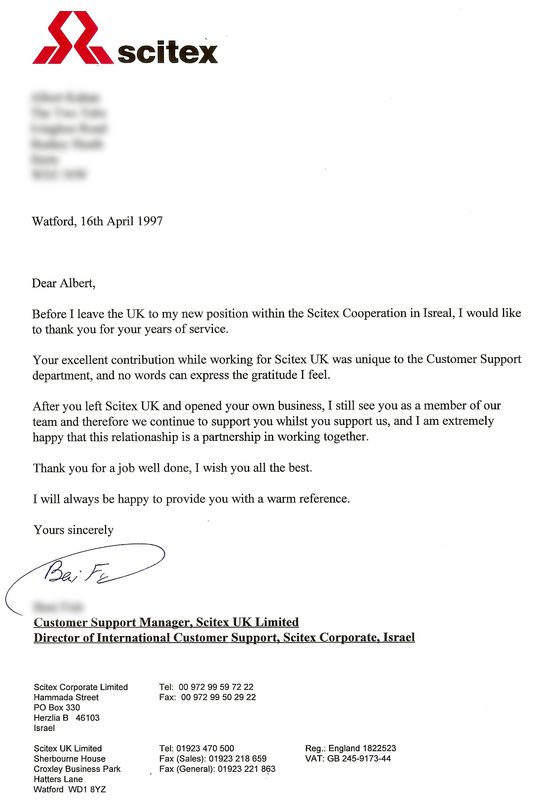 AK-UK Limited has a unique approach toward its customers as a result of the very demanding nature of its original market. 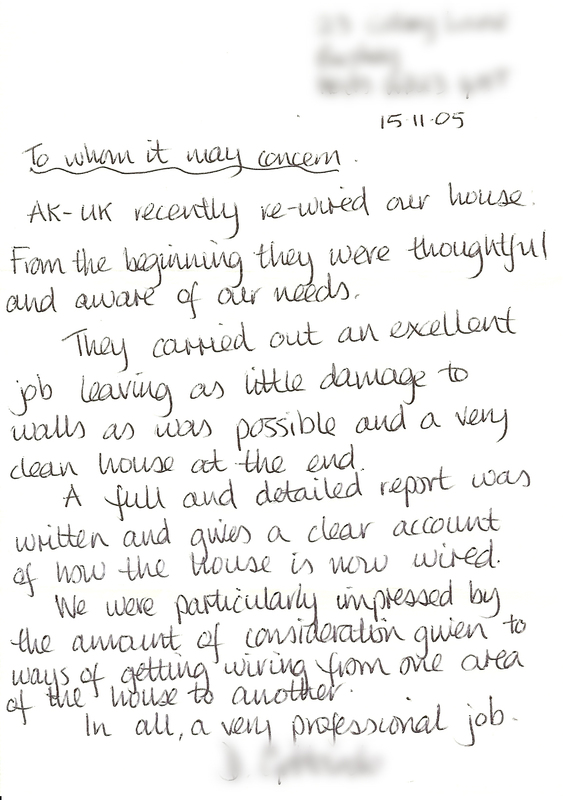 Our business has been built up through loyal customers' recommendations. We also give free estimates. 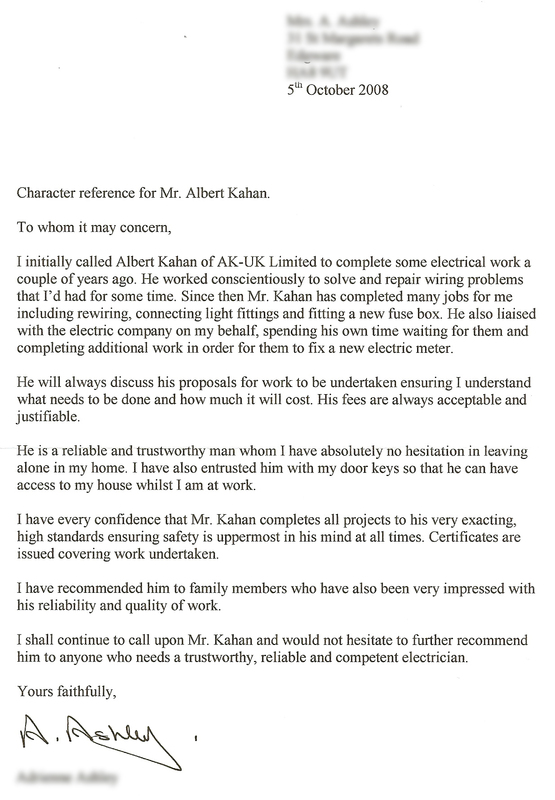 AK-UK Limited is committed to providing you with an on-site electrician who will concentrate on only one customer at a time until the work has been completed to your entire satisfaction. Call Albert today and find out for yourself. 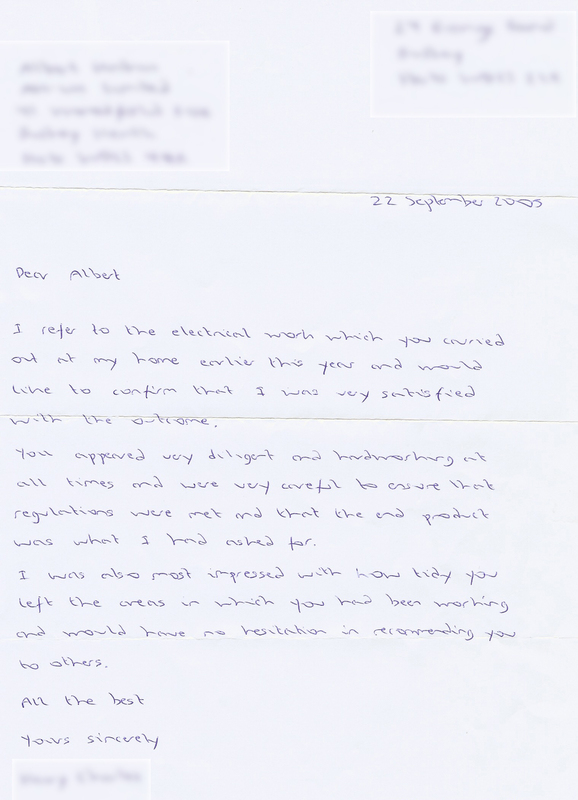 You can find more happy customers by visiting AK-UK on LinkedIn and TrustATrader. 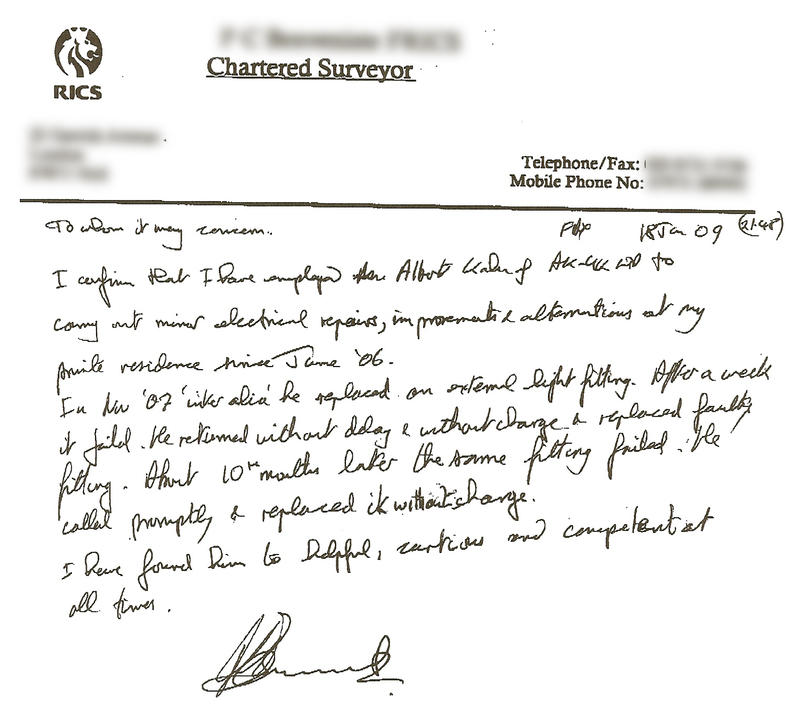 Don't forget that all work carried out by AK-UK Limited is guaranteed for 5 years!